The CMC (Canadian Music Center) has just published my choral work Elements for mixed chorus, piano and percussion. It is available at the CMC Website. Good News! ‘The Jitters’ from Out of the Box has be selected by the CNCM selection committee to be published in Northern Lights Discoveries Level 8B. This book will be available in July 2013. ‘Antique Lace’ was performed at Summer Sizzle 2012 in the Gala Premier of new Canadian works. This piece is published in CNCM’S newest Northern Lights Level 8 book which is now available. You can hear a sound sample of this piece on the Compositions Piano collection page – in the Piano Poems book. 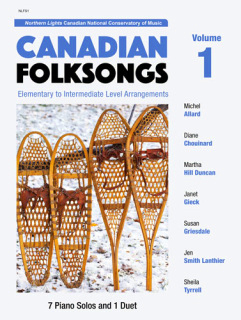 The piano solo ‘Toques and Parkas’ has been published in the CNCM Northern Lights Collection, Level 7B. A performance was given at the New Canadian Music Gala Evening Concert at Summer Sizzle in Mount Forest. 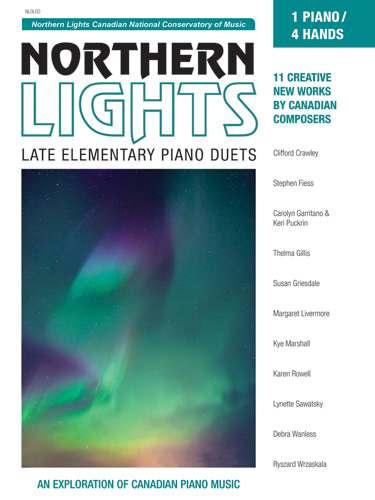 My piano poem ‘Sail Away’ has been published in the CNCM Northern Lights Collection, Level 6B. A performance was given at the New Canadian Music Gala evening concert. You can listen to an excerpt and see part of the score on the Piano Solos page. Most of the pieces in my ‘Let’s Pretend‘ Collection has been added to the Contemporary Showcase Syllabus. As well, my piano solo ‘Cloaked’ has also been listed at the grade 2/3 level.